Photo © Copyright Basher Eyre and licensed for reuse under this Creative Commons Licence. 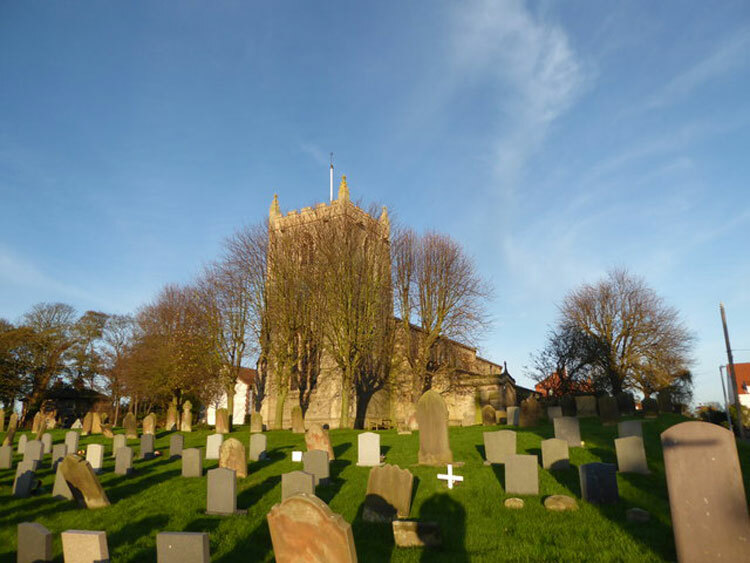 There are 6 First World War Graves in the Churchyard of St. Oswald, Flamborough. 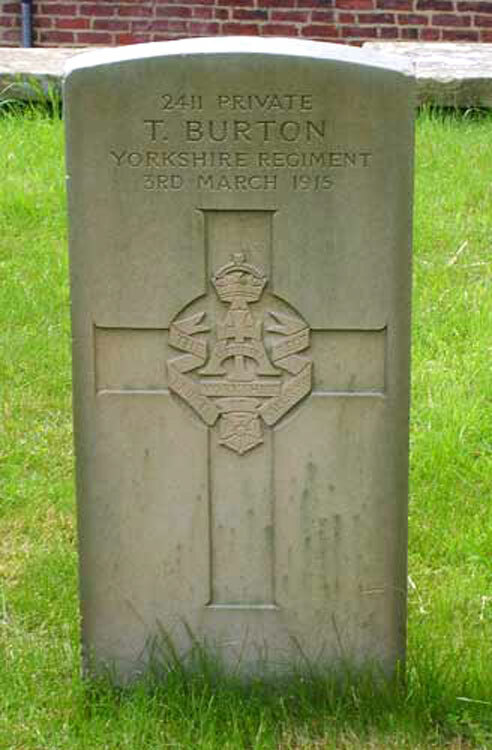 One of these graves is that of Private Thomas Burton of the Yorkshire Regiment. 5th Battalion Yorkshire Regt. Died 3 March 1915.